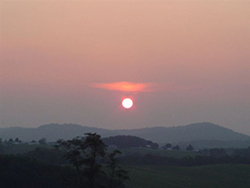 Discover the Magic of Carroll County Virginia! Water as clean as fresh mountain air; home to native trout streams, rare wild flowers, natural white pine forests and unsurpassed views; an ideal environment to raise your children; A place where people are friendly and the pace is slow; Magnet to the fisherman, hunter, camper and nature lover; Always a reason to visit; Always a reason to stay – You might just find yourself wanting to call Carroll County home! The North Carolina state line forms the southern boundary of the county. Some 25 miles of the famous Blue Ridge Parkway runs through the southern section of the county with spectacular overlooks as well as nature preserves. 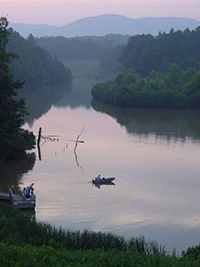 The New River State Park with Carroll County accesses for walking, biking, horseback riding and boating. This is a gem that runs over fifty miles across several counties and links the hundreds of miles of other trails in the nearby federal parks or forests. 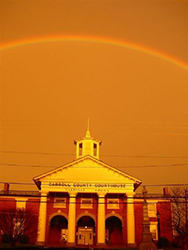 Hillsville is the county seat. A two block area of downtown was designated as a state and national historic district in 2001. Each Labor Day Weekend the Antique Market & Gun Show is famous for being the largest flea market this side of the Mississippi. The town of Galax uniquely situated half in Carroll County and half in Grayson county is the home of the oldest, continuous Old Fiddlers Convention that takes place every August.